Allura GPU for SketchUp - Powered by NVIDIA Iray® is a hardware accelerated rendering system, leveraging the power of modern GPU (Graphics Processing) architecture. Primarily coded for NVIDIA GPUs, the software architecture (Iray®) created by NVIDIA enables developers to use the power of the GPU to solve complicated tasks. 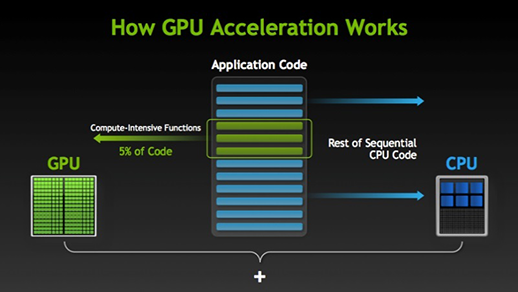 We developed Allura to support the largest base of GPU accelerators possible - NVIDIA. For reference purposes, we have included a short list of hardware restrictions imposed by the NVIDIA hardware structure. Future versions or upgrades of Allura may remove some or all of these restrictions with the support of new and specialized hardware designs. Normally all calculations are performed on the GPU graphics card and this means that every bit of information needed to render a scene needs to fit on the card. If the scene is too big to fit onto the card it will not render. Single GPU workstation configurations may appear unresponsive while a GPU-only rendering is performed. This is because the GPU is under full load while rendering. To aid single GPU workstations Allura has a GPU usage option where you can utilize a lower percentage of the GPU power enabling use of the workstation for other GPU based tasks. 1 What is GPU-ACCELERATED Rendering? GPU-accelerated rendering is the use of a graphics processing unit (GPU) together with a CPU to accelerate rendering applications. GPU-accelerated computing offloads compute-intensive portions of the application to the GPU, while the remainder of the code still runs on the CPU. From a user's perspective, applications simply run much faster. GPU vs CPU Performance A simple way to understand the difference between a GPU and a CPU is to compare how they process tasks. A CPU consists of a few cores optimized for sequential serial processing while a GPU has a massively parallel architecture consisting of thousands of smaller, more efficient cores designed for handling multiple tasks simultaneously. 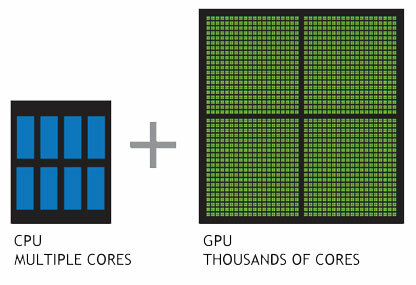 GPUs have thousands of cores to process parallel workloads efficiently. Note: Iray+ Interactive requires these specifications. Iray+ will run without a compatible GPU, but for best performance we recommend using GPUs. If your GPU does not meet the minimum requirements then Iray+ will automatically use CPU rendering. Compute Capability 3.5 devices only. Switching between different GPU generations at runtime, for example, switching from a Compute Capability 3.0 to a Compute Capability 2.0 device. The driver needs to support CUDA 8.0. A list of compatible GPUs can be found here.